The year is moving along, and after a humid summer, it’s time for crisp crunchy leaves as the dance season truly begins. October is proving to be filled with performances as well as class opportunities, so for those of you looking to train, be sure to take a look! As The Movement Project moves into the closing of summer, the next large event for TMP and Cleveland dance looms on the horizon; The Cleveland Dance Fest. In light of the upcoming festival, I decided to chat with the woman who founded it: Rebecca Leuszler. On top of many accomplishments, including co-founding The Movement Project itself, she’s most recently become a 2016 Creative Workforce Fellow and has used this position to create the festival. Rebecca has been an active member of the Cleveland dance scene for many years, and is currently working to create a more interactive and conducive community among professional dance artists in the city, as well as creating ties between dance and the community at large. Summer has been a busy time for Cleveland! Our NBA win and presence of the RNC has certainly received a lot of attention over the past several weeks. However, as the warmer months come to a close, there is going to be a lot happening in the dance world. To keep you all in the loop of the goings-on in this city, I have done a little research. Sweat trickles down my back. There is no air down here in the subway, except for that momentary breeze as a train rushes by. When it's gone, however, the air is once again stale, filling up the space of the dim platform. So I clamber up the stairs to the exit, light at the end of the tunnel, and am met with sunshine and smells and noise, noise, noise as the world opens up before me. Summertime in Cleveland is beautiful with its lush green and sunshine. June and July have some great dance opportunities and performances coming up...including the chance to apply for Cleveland's first annual Dance Fest! Slather up in sunscreen, enjoy the beaches on Lake Erie, and get involved in Cleveland dance! Spring is on its last legs, and May is here to shoot us forward into summer. However, before we get into shorts and flip-flops, take a look at this jam-packed and exciting close to spring: classes, performances, and other events from Dancing Wheels, The Cleveland Tango School, TMP, and more! After a busy March, it is time to look to April. Many exciting projects are in the works for May, but April has some great things in store with auditions, performances, and workshops from Dancing Wheels Company and School and The Movement Project! Take a look, prepare to dress for any weather (it is April in Northeastern Ohio, after all), and get involved! Dance in Cleveland: The Beginnings of the Spring Season! Spring is right around the corner, and with it brings a busy performance season for artists and companies in the Cleveland area. March is full of opportunities to see and take part in the dance community. Have a look at many of the great works and auditions taking place this month! THE BUZZ: Celebrate the New Year with Dance in Cleveland! ATA will be exciting this February with contact improvisation master Ann Cooper Albright on February 7th and 14th. She is currently a dance professor at Oberlin College and President of the Society of Dance History Scholars. Among other accomplishments, including authoring many important books such as Engaging Bodies: the Politics and Poetics of Corporeality, she is founder and director of Girls in Motion, an overwhelmingly successful afterschool program and is the co-director of Accelerated Motion: Towards a New Dance Literacy (a digital collection of materials about dance funded by the National Endowment for the Arts). This is a rare chance to take class with a prominent and founding member of the field. Come to class and share the knowledge! If you're new to the ATA series, it is a great opportunity to take class with some amazing artists. Here's how it works: the first two Sundays of every month hold a master class with an artist, one artist per month (so each artist teaches two classes). This is a great way to network and build our community, guys! Come check it out! On January 30th, The Movement Project will be at Pilgrim Church in Tremont for a performance! Not only is The Movement Project showing new work, but there will also be work by intermedia performance artist Marcia Custer, a piece by Emily Jarosz, and a duet by yours truly. It is bound to be an excellent evening, and I hope to see you there! To celebrate and honor the 90th anniversary of Heinz Poll's birthday (founder of Ohio Ballet), Verb Ballets will perform his work in an evening-length concert. This is sure to be an amazing performance! Make sure you look over the guidelines and don't forget your resume and headshot! Well, everyone, winter is coming fast, and with the changing season comes a new blog post about some of the great dance work and opportunities being done in Cleveland! I have compiled a list of some great events, so invest in some snow boots, and get involved! TMP’s very own Megan Gargano will be teaching an improv class at Case Western Reserve through IMPULSE, CWRU’s dance improv club. It is FREE and OPEN to the public. Things you should know: The class is Thursday, November 12th from 6-7:30pm at the Mather Dance Center at Case. Come and celebrate the 40th Anniversary of Contact Quarterly! The event takes place Sunday December 6th, 1-4pm (class) and cake, punch and fellowship from 4:30-6pm at the Warner Main Space. Bring friends! And it's free! Please RSVP to ann.cooper.albright@oberlin.edu. ATA is back and better than before! Though the November classes have come and gone, it is not too late to take part in this great and community-driven series. The first two Sundays of every month hosts a local teaching artist (Kora Radella will be teaching in December). Each month offers a new artist, so the possibilities are endless! 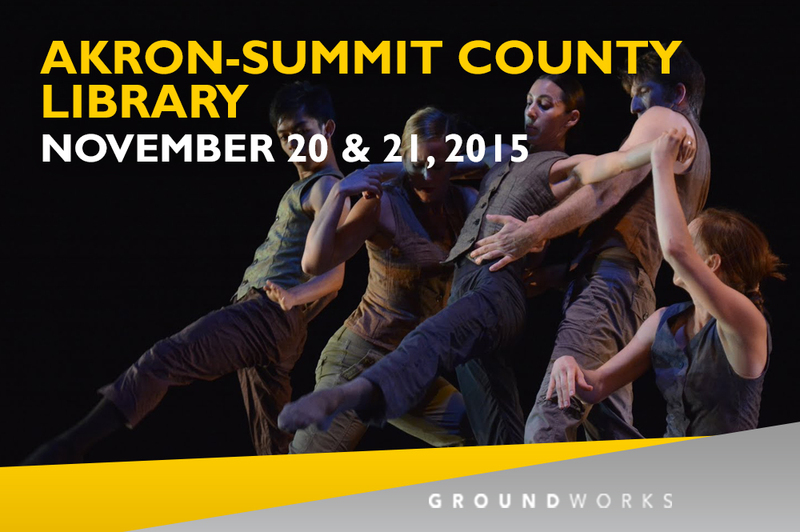 GroundWorks DanceTheater is having its fourth annual fall concert series at the Akron-Summit County Library in November. Though the October shows are done, there is still the opportunity to see this company November 20th and 21st! There will be two never-before-seen works by Artistic Director David Shimotakahara as well as work by guest artist Kate Weare. Dancing Wheels will be performing with Canton Symphony Orchestra at Canton Palace Theatre at 8pm on November 21st. Take the trip and enjoy an evening of dance! 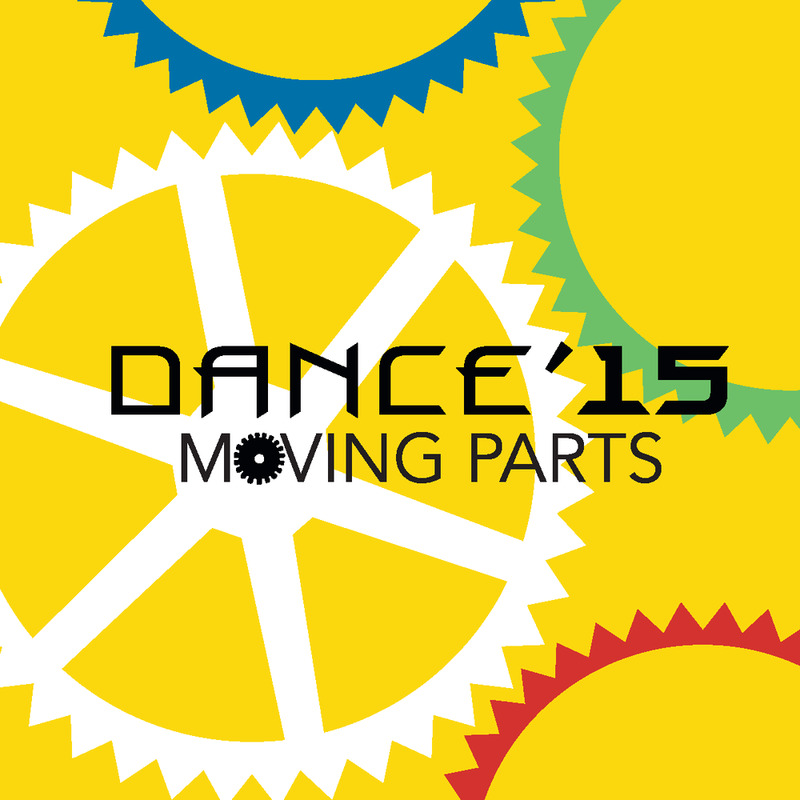 Dance ’15: Moving Parts at Kent State will feature faculty work, as well as the work of guest artists! Under the Artistic Director Joan Meggitt, it is sure to be a dynamic and exciting show to see. A fun play on a holiday tradition, Neos Dance Theatre presents A 1940’s Nutcracker. The holiday favorite is turned on its head as it is set in 1940’s Mansfield, Ohio, and explores that age of 40’s film, traditions, war, and more. This is something you don’t want to miss! The performance is December 17th in Cleveland. Hopefully more details are soon to follow! ‘Tis the season, and what is a better way to celebrate than going to see The Nutcracker? Denise Gula’s ballet has new costumes, choreography, and more! The Movement Project is eager to get the season rolling, and part of this is supporting new work! Those selected will have their work shown at TMP’s April 2nd show at SPACES Gallery in Cleveland! Get cracking, the deadline will be here before you know it! If you would like to share your work with The Movement Project, email me at irene@themovementproject.org. We would love to connect you to artists and community members in Cleveland! Here’s to ending 2015 with a bang! Fall is in the air, everyone, and that not only means pumpkin spice lattes and diving haphazardly into leaf piles, but also the start of a fresh performing season for many dance companies as well as independent artists. Not only are there new works being made and performances to see, there are also opportunities for classes and other dance-related events. The city of Cleveland and the surrounding area has a great deal to offer during this time, but, unfortunately, it is hard to receive word about what is happening in the dance world. Therefore, I have compiled a list of exciting performances and events coming up for this fall. Get excited, and get your tickets! Modern dance is an art form that can be enjoyed by people of all ages, shapes, sizes, and abilities. In preparation for presenting "All Together Now" at Cleveland Public Theatre's DanceWorks series, TMP worked with our resident video artist, Jonny Riese, to film short videos at MOCA Cleveland. At our video shoot, Jonny suggested that we create cinemagraphs. And we asked him... what are cinemagraphs? Cinemagraphs are still photos with minor, repetitive movement. Click on the Blog to check out The Movement Project's Cinemagraphs! There is still time to audition for TMP's first summer intensive for dance artists! One of my favorite things about Cleveland is the passion that it has for arts and culture. Unique to other cities, Cuyahoga County has a tax on cigarettes that goes straight to public arts funding. Ever since Hubbard Street Dance Chicago came to Cleveland to perform in PlayhouseSquare’s Dance Showcase last fall, I have become a huge fan. Get to know one of The Movement Project’s newest company members, Irene Honora! Irene, who was born in Colorado and moved to Cleveland as a kid, started interning with TMP last year, and was offered a position as a company member upon her graduation from Ohio University. This week, I had the opportunity to ask her a few questions. There are some exciting performances happening in Cleveland this month! TMP is proud to call Cleveland home. In addition to being a beautiful place full of amazing people and artists, Cleveland has a vibrant and varied dance community. While Cleveland is full of talented dance professionals, there has been no obvious place for dancers to come together, take class and network. This has left us with an unintentionally fractured community. TMP has been working hard to find a way to bridge gaps in our dance community, and we are happy to say that we think we have a step in the right direction. 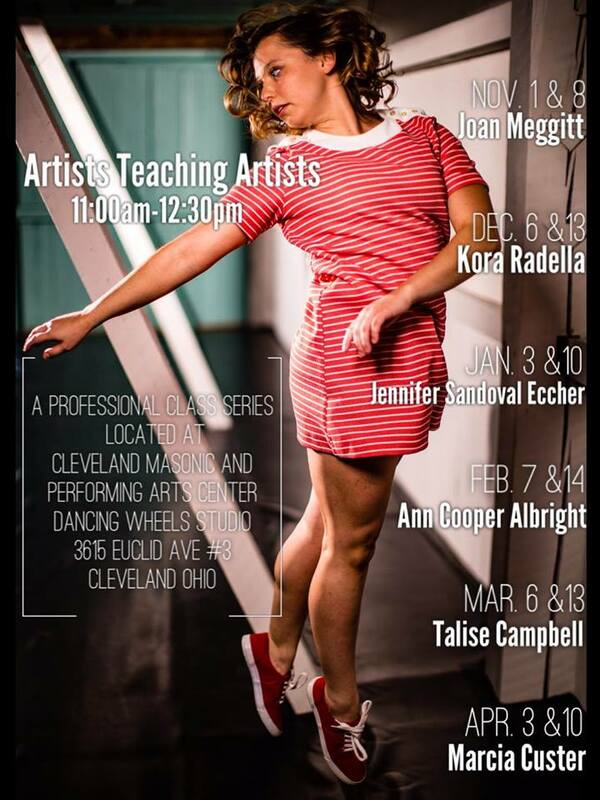 We are excited to announce The Movement: Artists Teaching Artists, a class series for Cleveland's professional dancers, taught by Cleveland's professional dancers. Classes will be held from 11am - 1pm on the second Sunday of every month at Cleveland Public Theatre's Parish Hall. Join us in support of an open dance community for Cleveland!